. 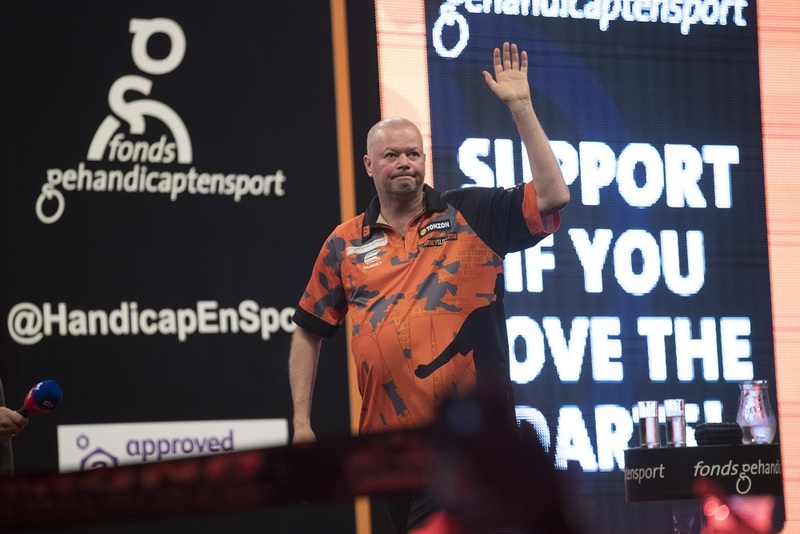 Van Barneveld's defeat to Daryl Gurney on Night Eight 24 hours earlier had eliminated the Dutch legend him from the competition, and he was unable to end his 14th Premier League season on a high note in front of his army of adoring Dutch fans. The five-time World Champion afterwards announced his intention to retire immediately, bringing forward his planned swansong at the World Championship later this year. The 2014 Premier League champion was making his 210th and final Premier League appearance, but soon found himself 4-0 down to a red-hot Van Gerwen as the World Champion took control. 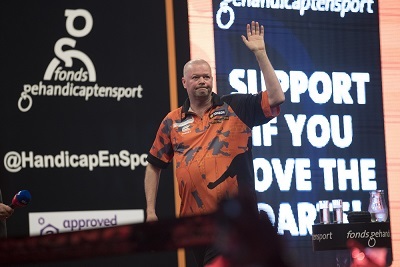 Van Barneveld avoided the whitewash with tops in leg five, only for a ruthless Van Gerwen to reel off the final three legs to condemn the tearful five-time World Champion to a crushing defeat. 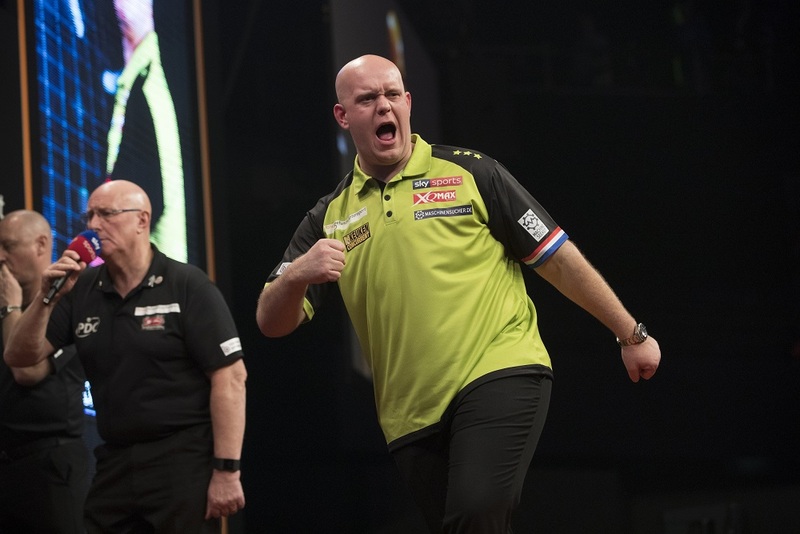 Victory for Van Gerwen keeps the four-time Premier League champion at the top of the table and on track to win the league phase for a seventh consecutive year since his 2013 debut. "Of course it was difficult playing that match, I had a poor performance against Raymond here last year so to win 7-1 is phenomenal," said Van Gerwen. "What Raymond did for the sport is great, but when I saw him crying at the start of the match I made sure I kept my focus on getting the job done. "He has been a phenomenal player, he's put the sport on the map in the Netherlands and I hope I can take it even further. "To perform in front of this crowd means everything to me, and if it wasn't for Raymond then none of this would be possible." 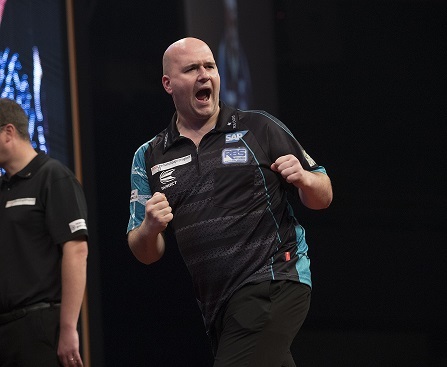 Van Gerwen now sits ahead of Rob Cross at the top of the table on leg difference after the former World Champion came from 3-1 down to defeat Contender Jeffrey de Zwaan 7-4. Youngster De Zwaan showed no nerves in front of 10,000 Dutch fans as he took out 151 in a superb opening, but five straight legs from Cross included a key 124 bull finish as he took control before sealing the win. "Jeffrey had a great start to the game and I was chasing the game, and when I hit the front it got a little bit easier for me and quietened the crowd a little bit," said Cross. "It was incredible to be a part of it. Jeffrey was superb and I didn't feel I played my best but I still got the job done. "Yesterday it wasn't meant to be so it's really nice to win tonight, and I had to graft." James Wade now sits in third place after defeating Michael Smith 7-4, coming from 3-1 down with a clinical display of finishing to claim his fourth win of the season, averaging 102.44 in the process. Daryl Gurney made it three wins in a row with a 7-3 success over Mensur Suljovic heading into his Belfast homecoming on Night Ten. 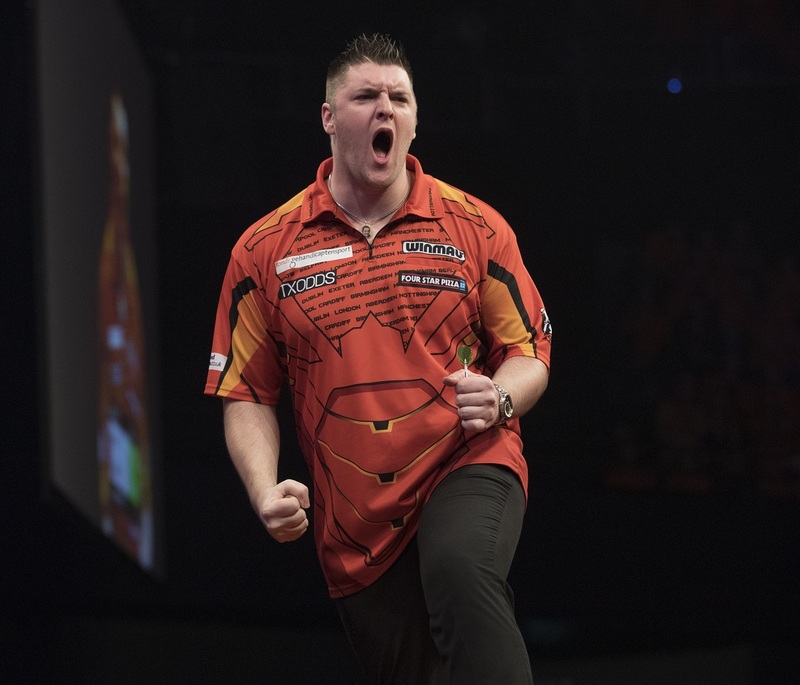 Players Championship Finals winner Gurney fired in six 180s in a dominant display which saw him win five of the last six legs, leaving Suljovic to rue his eight wayward darts at double. 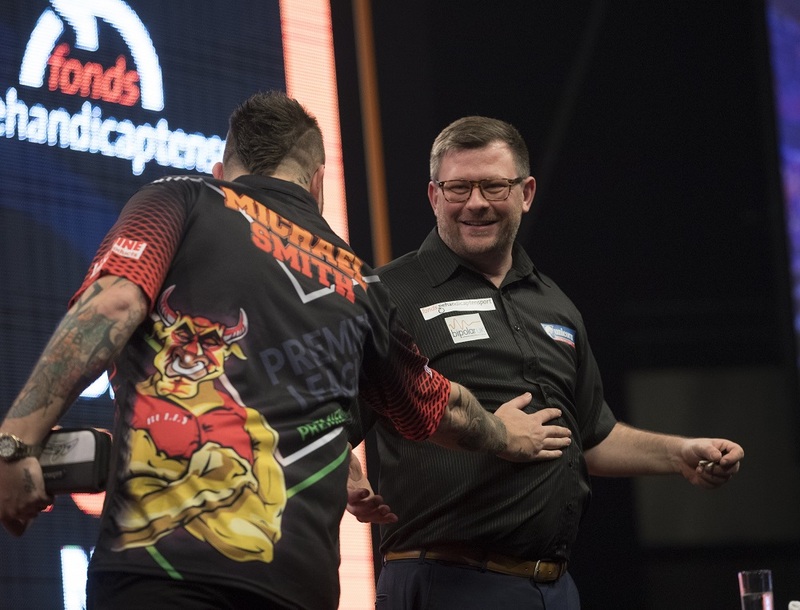 "I put a lot of pressure on myself to win the game because I knew I could move into the top four, so when the last double went in it was a big relief," said Gurney. "Getting into the top four is my aim and I'm doing everything I can to improve my performance and get to where I want to be, but three wins in a row is good for my confidence going to Belfast next week." Gerwyn Price defied finishes of 160 and 118 from Peter Wright to claim a 7-5 victory which sees him move above the Scot into sixth place, sitting two points adrift of the top four going into the second half of the season. "It was a tough game and I'm glad to go up there and win," said Price. "I felt like I was in control of the game, and even when Peter went in front I was confident I could come back. "There was less pressure today because I knew I couldn't be eliminated, but I needed a win today to get myself back in contention. "Now, I want to push for the top four in the second half of the season."